Karl Lagerfeld – an influential fashion figure, designer who rebuilt Chanel and given long years contribution for Fendi, never thought he would like cats. But today, thanks to his cat Choupette , he launched the line of his Persian cat inspired designed products! What it is about this furry princess grabbed Karl’s heart? 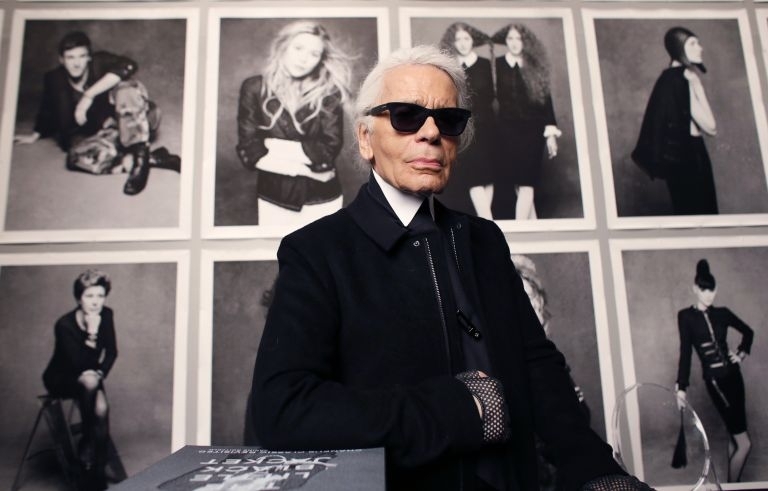 Karl Lagerfeld has remained as an influential fashion figure for decades. He was born in Germany and became well known not just only as a fashion designer, but an artist, and a photographer based in Paris. He designed the costume for Madonna and Kylie Minogue. Since he took the lead in Chanel as a head designer and a creative director, she revived. Also, designs for Fendi from 1972 and his own fashion label. Carl is the man who opens up the new field and has collaborated on a variety of fashion and art-related projects. His white hair, black glasses, and high starched collars are well-known trademark around the world. She hates other animals and she hates children. She stays always with me and she has two personal maids. They play with her, they have to take care of her beautiful white hair, the beauty treatments for her eyes, and they entertain her. Every cat owner thinks her cat is unique, and it’s true. Karl’s cat is no exception in that sense and perhaps more than that. His cat Choupette made $3.23 million due to the contract of Germany car maker and Japanese beauty products in 2014 alone. Karl claims his cat, Choupette is like a human being, but a good thing about her is she’s silent. She is the center of the world. If you saw her, you would understand. She is kind of Greta Garbo. There is something unforgettable about her, the way she moves, the way she plays. She’s an inspiration for elegance. For attitude. Cats are born with elegance in the first place. They know how to handle things and how to relax in any circumstances. Always confident with poise and act in a humorous way often times. Clothes can have versatile meaning, make it your signature or make yourself comfortable with you. It is the balance, think about the effect what clothes you put on yourself and the effect on others. One of the powerful tool to equip with to make your goals met. While you are asking other’s approval, you would never be yourself. You don’t need approval nor rejection from others. You set your standard and just do it. This idea is akin to his philosophy of a good model. You have to have your own unique something to stand out. Like his signature fashion style, something people can recognize instantly and make them remember. I’m very much down to earth, just not this earth. In his 70’s, he focusing on so many things at the same times shows his energy and vigor. Age ain’t matter, yet curiosity and actual action matter. Whichever planet he came from, he’s destined to create and re-invent himself over times as only one being. I’ve only wanted paper and beautiful colors. It was my dream, and it still is my dream. And books. They’re all I need, and the rest I can do without. Karl’s waken up by Choupette every morning by nuzzling his face. It’s very likely he wants to add his princess on the list now.